Security Information and Event Management (SIEM) has evolved to become one of the most critical and relied upon solutions for log management, security and compliance. However, selecting the right SIEM isn’t as easy as picking a product off the shelf. 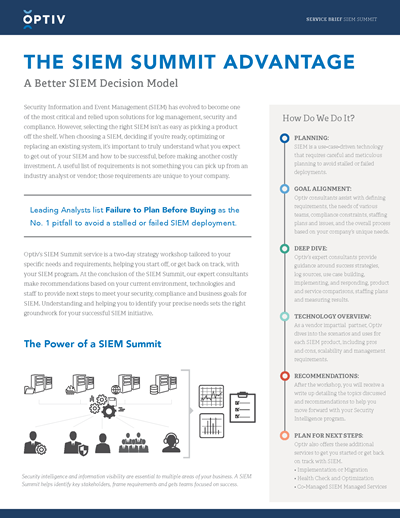 When choosing a SIEM, deciding if you’re ready, optimizing or replacing an existing system, it’s important to truly understand what you expect to get out of your SIEM and how to be successful, before making another costly investment.